Beginning learners will delight in this vibrant, dinosaur-filled introduction to the most essential building block of reading--the letters of the alphabet. Prominently featuring each letter of the alphabet in both uppercase and lowercase forms, the text also presents simple sentences to clearly demonstrate an item that begins with each letter, such as "B is for book." 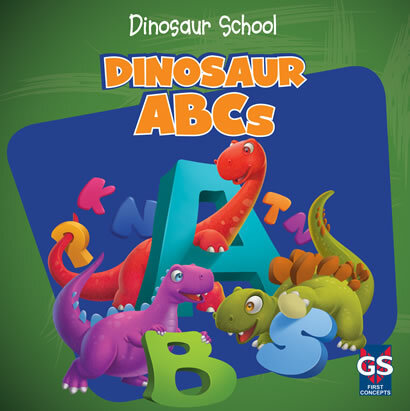 Illustrations of dinosaurs interacting with each appropriately chosen item make learning the alphabet fun and highly engaging for beginning readers. A concluding page lists each letter of the alphabet and corresponding image for additional reinforcement of this important and elemental reading concept.